Every time a freezer door is opened, moisture enters the conditioned space. If that air is humid, even more moisture enters. But once humid air is inside a walk-in freezer, what happens to that moisture, and how does it impact the overall refrigeration program? Whether it's frequent door openings, doors that don't close properly, or another reason like moisture-rich foods, it's critical for foodservice operations to maintain control of moisture buildup inside a walk-in freezer. That's why a freezer that hasn't been opened in a while will be much dryer than one that is frequently opened. 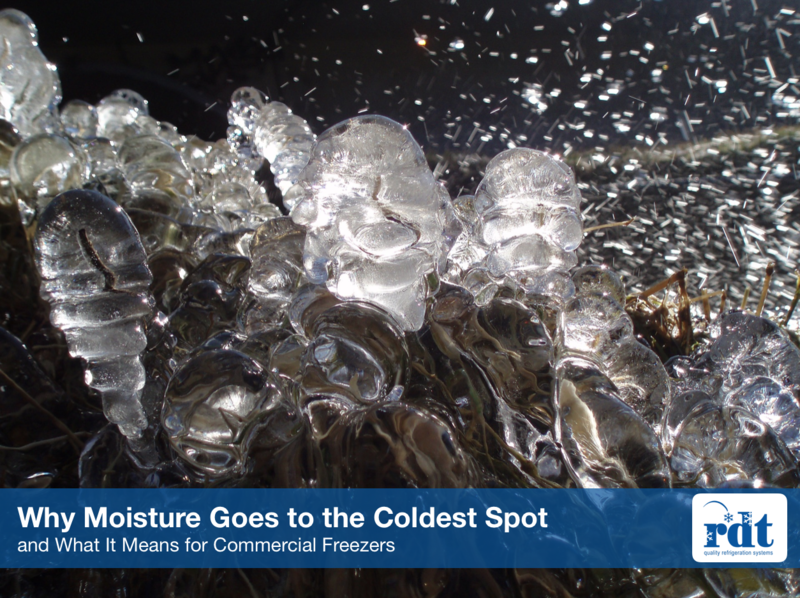 When moisture isn't controlled, though, it will tend to build up as frost in the coldest areas of the freezer, which is the evaporator coil. And the build up of frost can have negative impacts that range from food damage and waste to overworked compressors that lead to higher utility bills. Getting rid of moisture that eventually results in frost build up is critical to minimizing these negative effects. There are many different types of commercial defrost systems, but the best way to get rid of frost efficiently and economically is to implement a smart, or on-demand defrost system that only operates when it is needed, not based on timing that doesn't necessarily coordinate with need. Learn more about efficient on-demand defrost solutions by watching this short video on Eco-Smart, and see how it works.